PULAU PAYAR MARINE PARK is situated in the south of Langkawi and encompasses the islands of Pulau Payar, Pulau Lembu, Pulau Segantang and Pulau Kaca. The marine park teems with a fascinating diversity of marine life and vegetation. 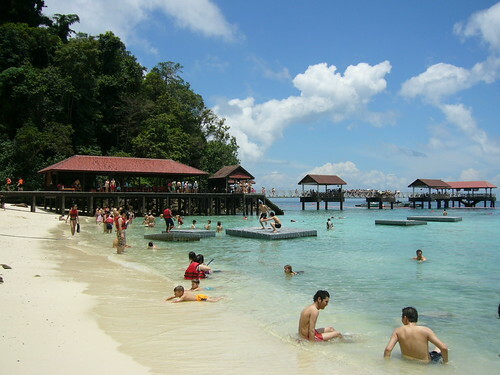 Pulau Payar is the most popular of the islands as its sheltered waters are ideal for snorkelling, diving and swimming. Among the enchanting dive spots is the Coral Garden, an area covered with bright, multihued soft corals. * It is advisable to book the catamaran service a day before the trip. * An entry fee to the marine park is chargeable.